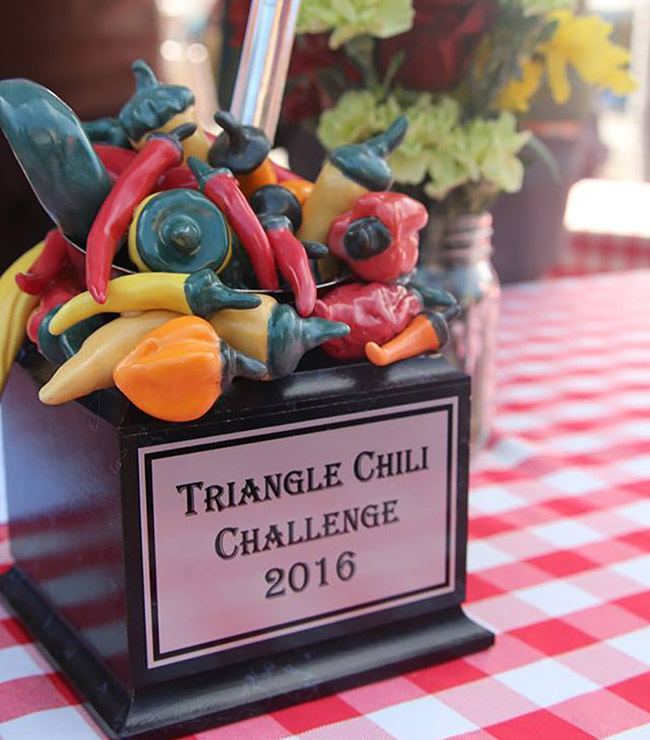 The Triangle Chili Challenge was created as a way to bring people to Downtown Cary in November and it is very consciously tied into the Downtown Food and Flea. Local artists are involved with the event all the way to the trophy, which is created by both Creative Images, now in a new location on E Chatham Street, and Cary Pottery. 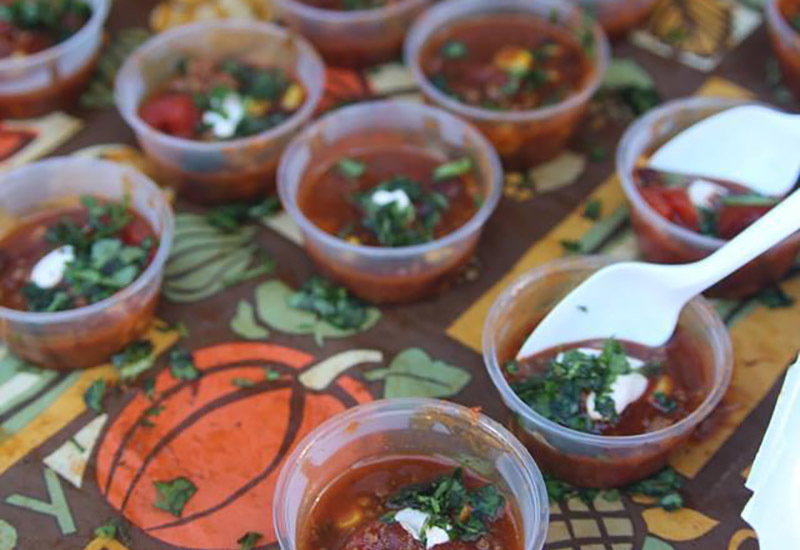 With all of these partnerships and involvements, McCarthy said she thinks it ultimately makes both the Chili Challenge and Food and Flea better. 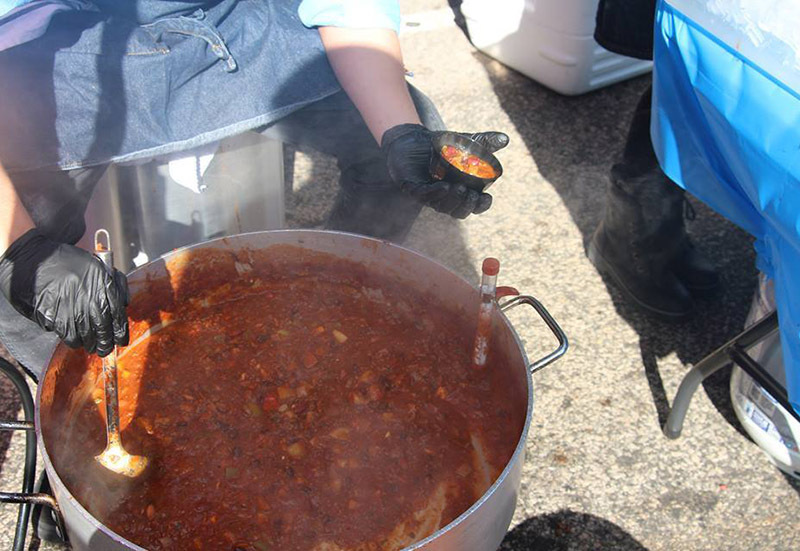 “It brings out folks who may not have come to Food and Flea otherwise,” she said. Story by Michael Papich. 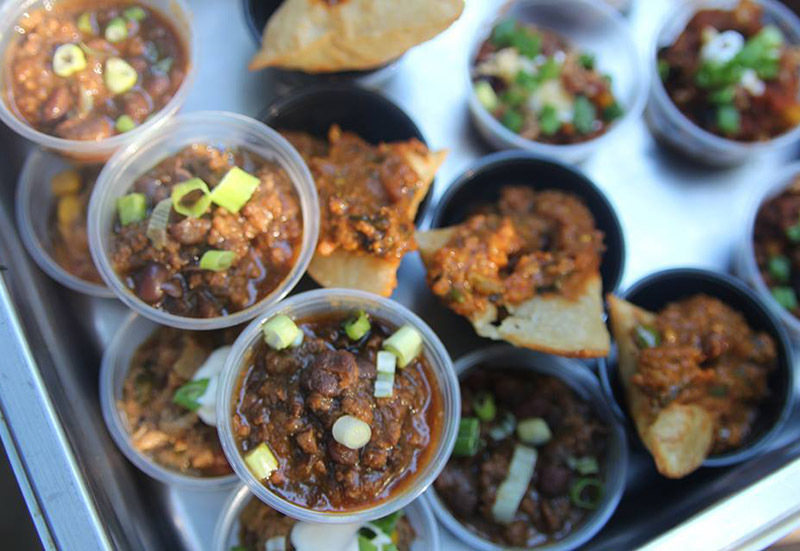 Photos courtesy of the Triangle Chili Challenge.